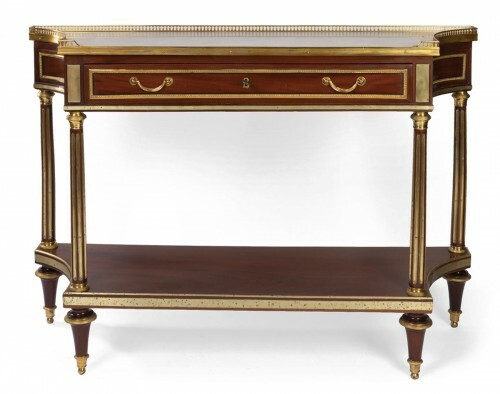 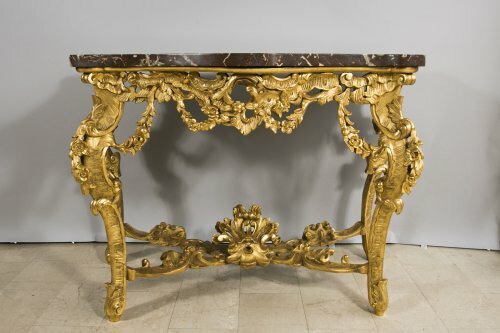 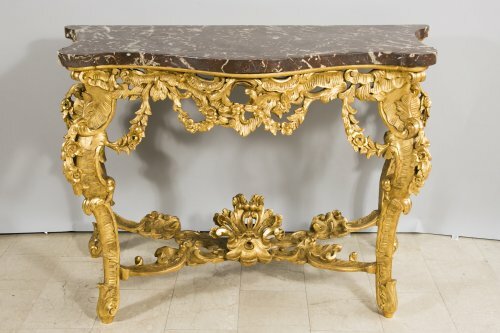 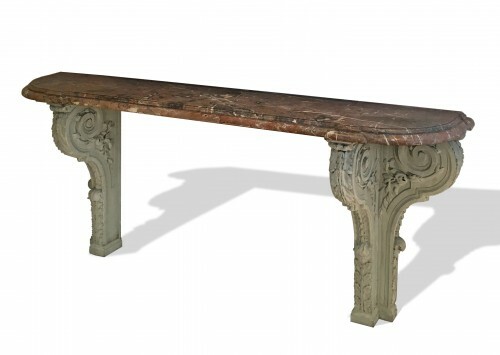 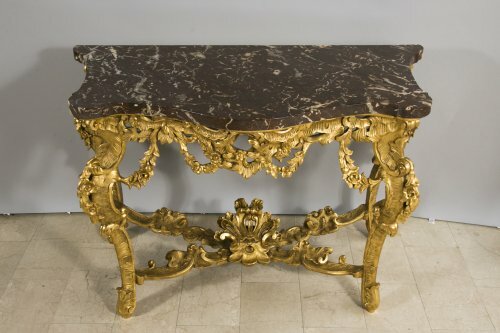 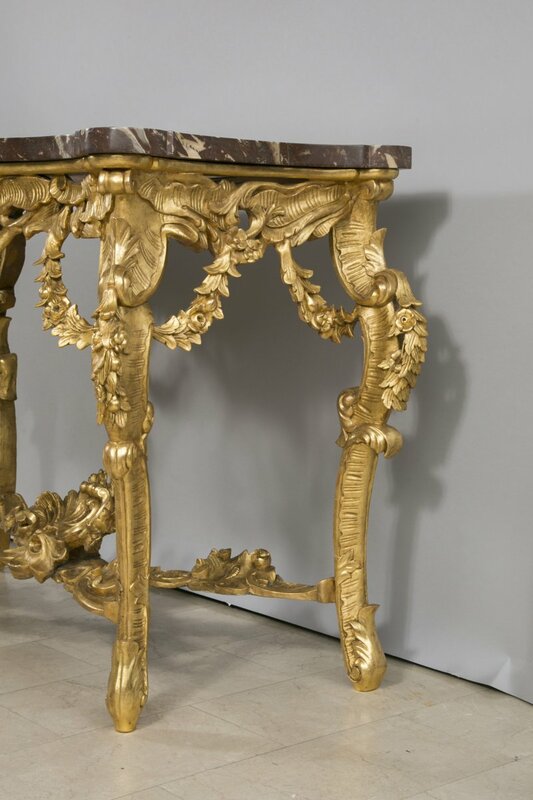 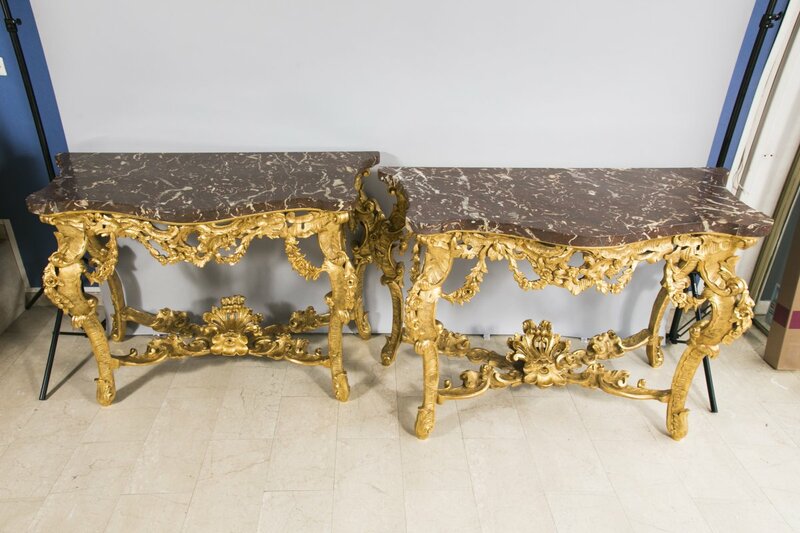 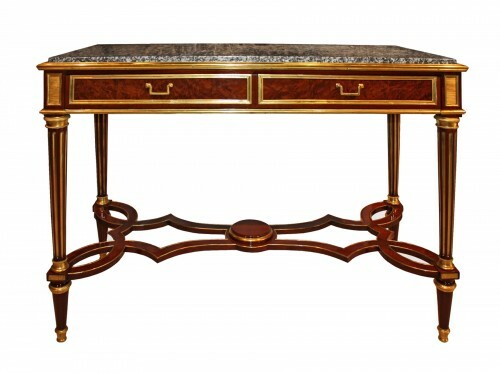 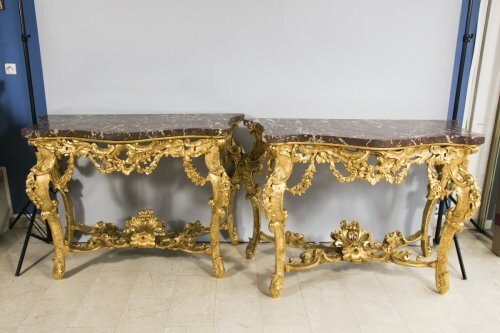 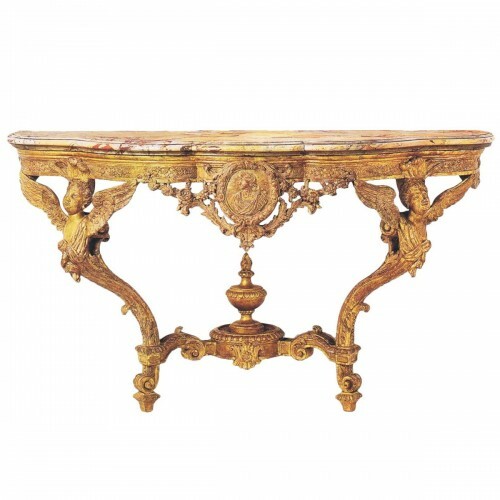 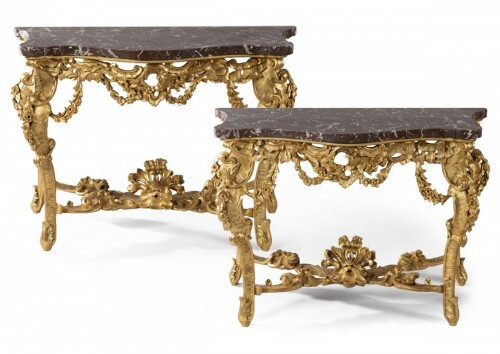 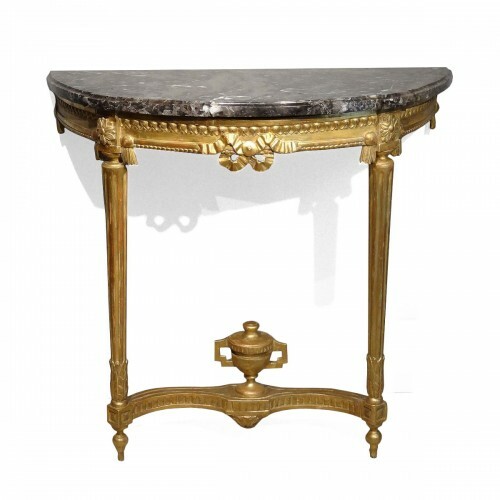 Large and exceptional pair of Italian consoles in gilded, moulded and sculpted wood. 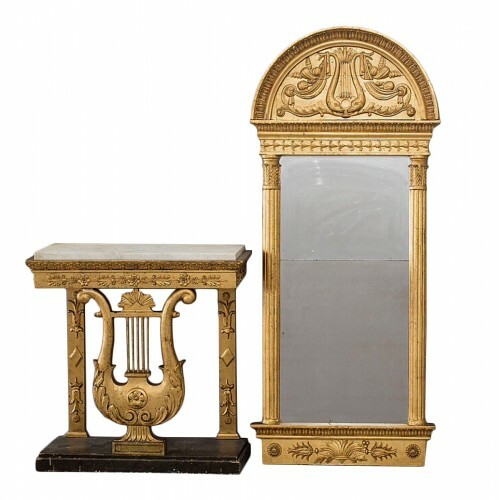 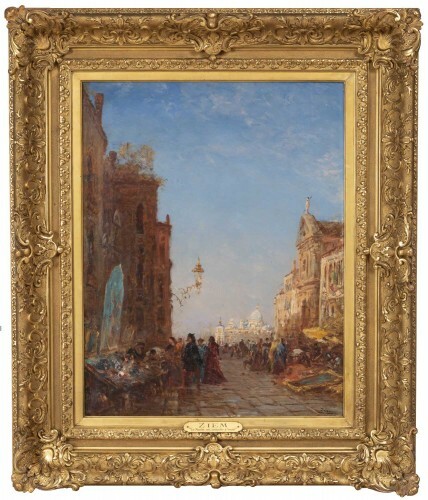 Produced in the second half of the 19th century. 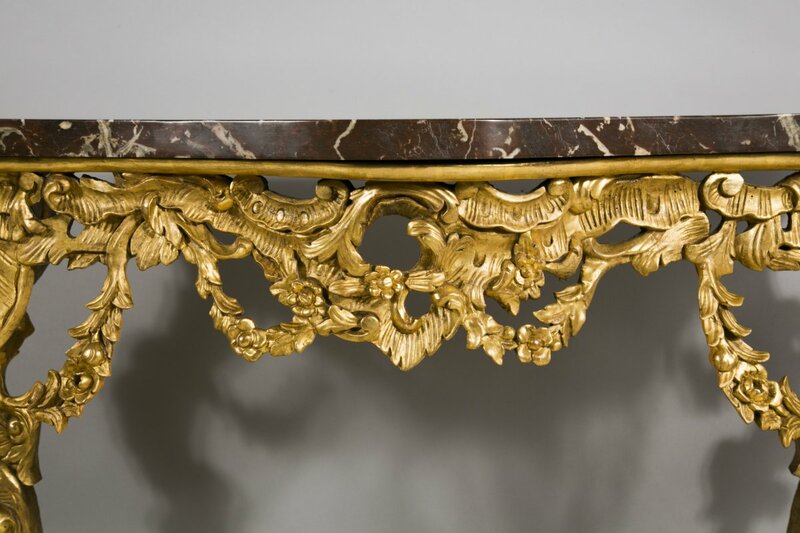 Rich decor depicting flora and fauna forming an open work garland which runs down to the four feet. The four branches of the X-shaped structure join in the centre, forming an asymmetrical mascaron. 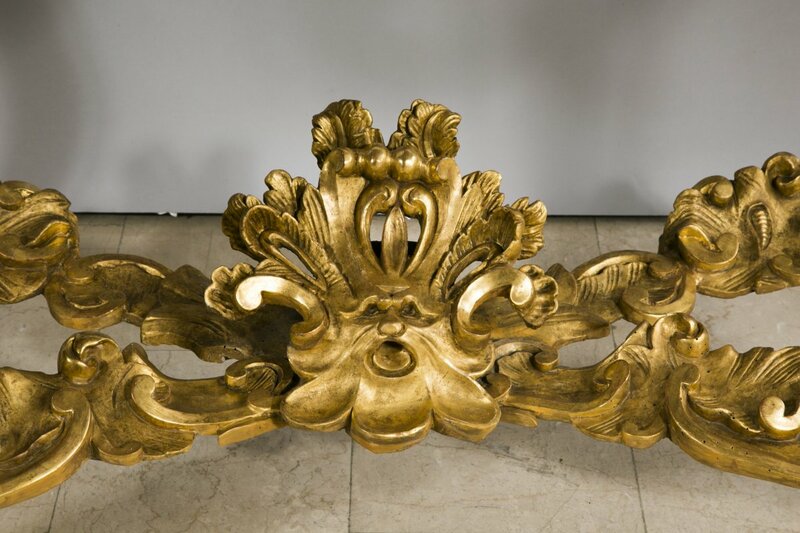 The mascaron is typically Italian, and served originally in architecture to repel evil spirits. 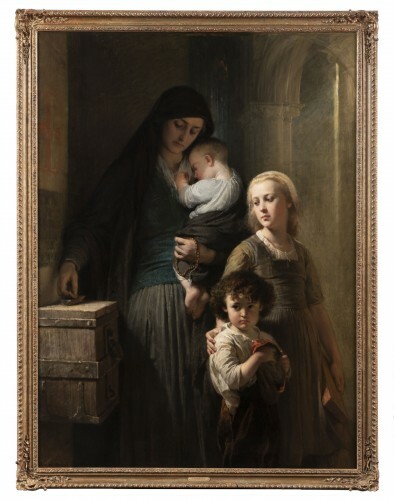 This fashion arrived in France during the wars with Italy at the beginning of the 16th century. 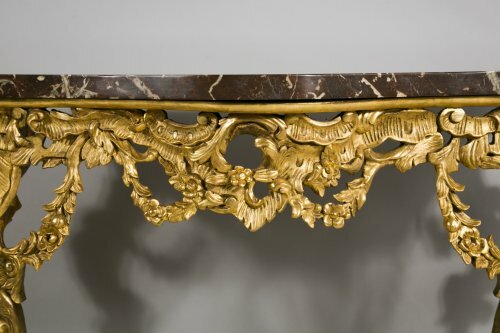 The two consoles support a piece of Belgian royal red marble 4 cm thick.